Priced below KBB Fair Purchase Price! Alloy Wheels *, Backup Camera *, Bluetooth*, Power Mirror Package*, Power Package*, Apple CarPlay, Front dual zone A/C, Front Fog Lamps, Google Android Auto, Heated door mirrors, Houndstooth Cloth Sport Seats, Power driver seat, Radio: Uconnect 4 w/7" Display, Security system, Spoiler, Steering wheel mounted audio controls, Wheels: 18" x 7.5" Cast Aluminum. Hambelton LaGreca Super Center WWW.hamlag.com. 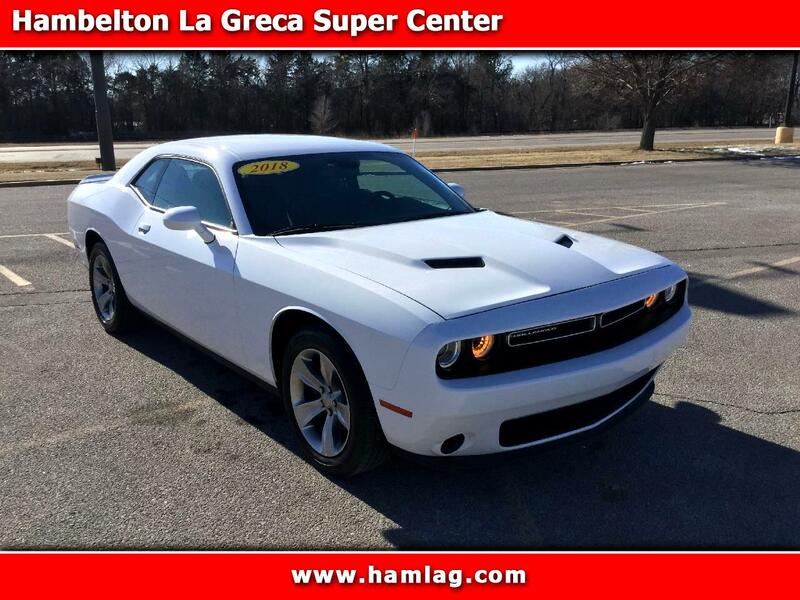 White Knuckle Clearcoat 2018 Dodge Challenger SXT 2D Coupe 3.6L V6 24V VVT RWD 8-Speed Automatic Excellent Financing Available!